The Philippine flag flew proud at the Fuji International Speedway as a Filipino finished first in his class and fifth overall at the Mazda Fan Endurance Race at the Fuji International Speedway. 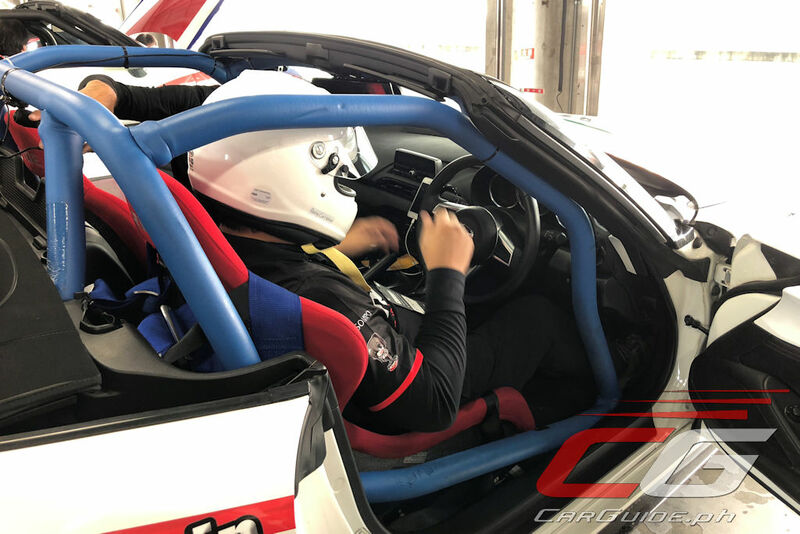 Joey Almeda, a six-time endurance racing champion represented the country in the multinational “Team ASIA Roadster” team. 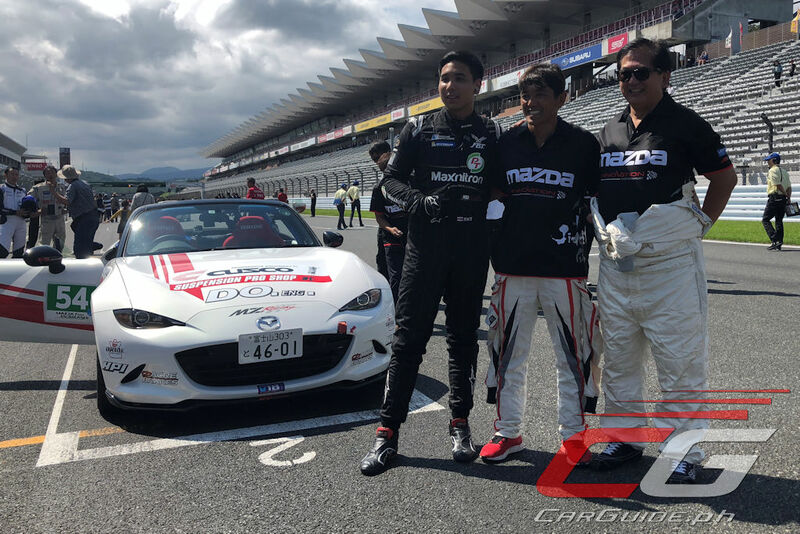 He was partnered with Thai Driver Silapa “Sint” Teeraniti and All Japan Gymkhana Champion and the first-ever Global MX-5 Cup Japan Champion Tetsuya Yamano. Managed by no less than the fourth-generation MX-5 program manager and key figure in Mazda’s 1991 Le Mans win, Nobuhiro Yamamoto, the #54 MX-5 Type S prepared by Do Engineering fought for the overall win only to have their chance derailed due to a Safety Car incident two laps before the finish. 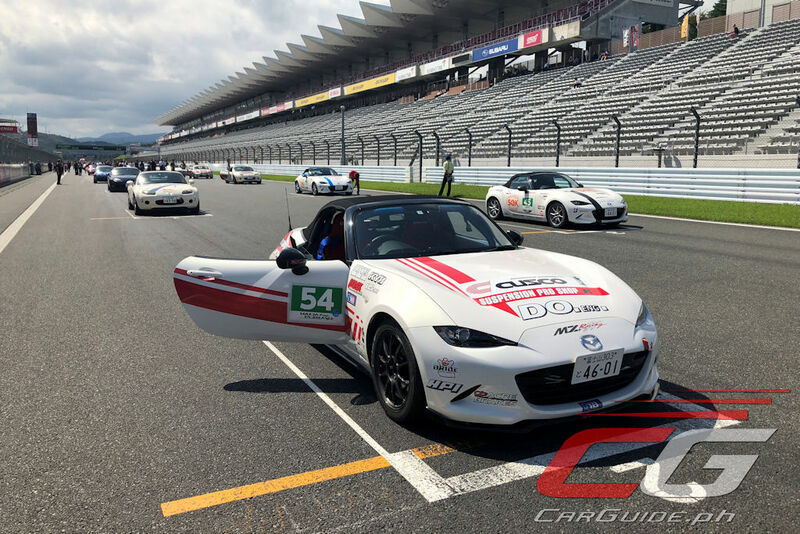 A highlight of the “Be A Driver Experience” brand experience event, the Mazda Fan Endurance Race is a 2-hour 30-minute endurance race that features both past and present production cars. 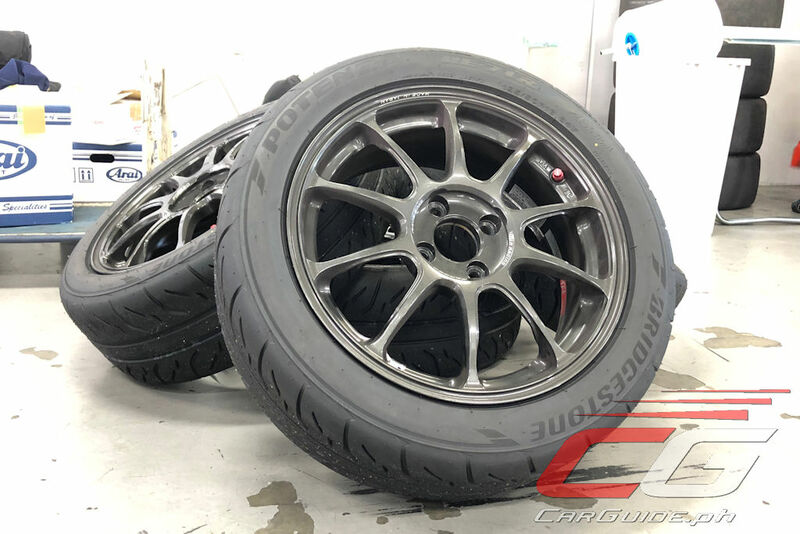 In a unique twist, it’s not about being the fastest car. 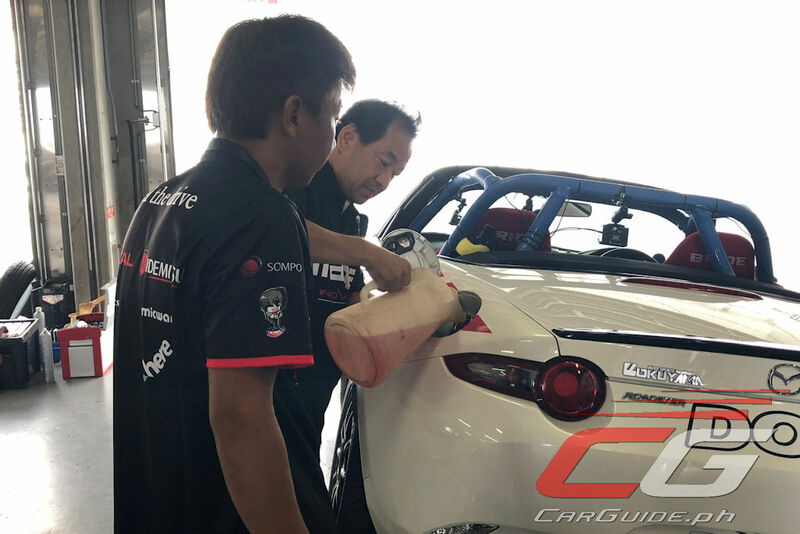 Everyone starts with a full tank of gas, but since there’s no refueling allowed, it means drivers will have to balance outright speed and fuel consumption throughout the race. 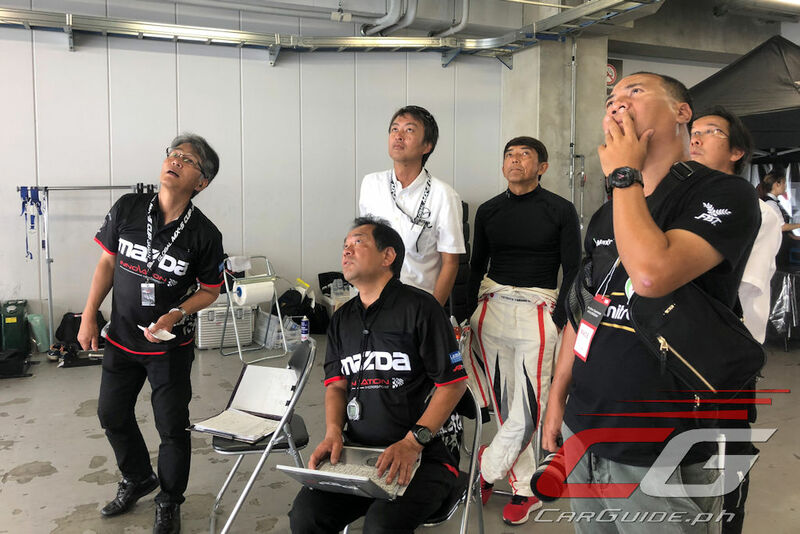 Using telemetry data from the Japanese Media Endurance Race at the Tsukuba Circuit, Yamamoto-san devised a game plan for the race. 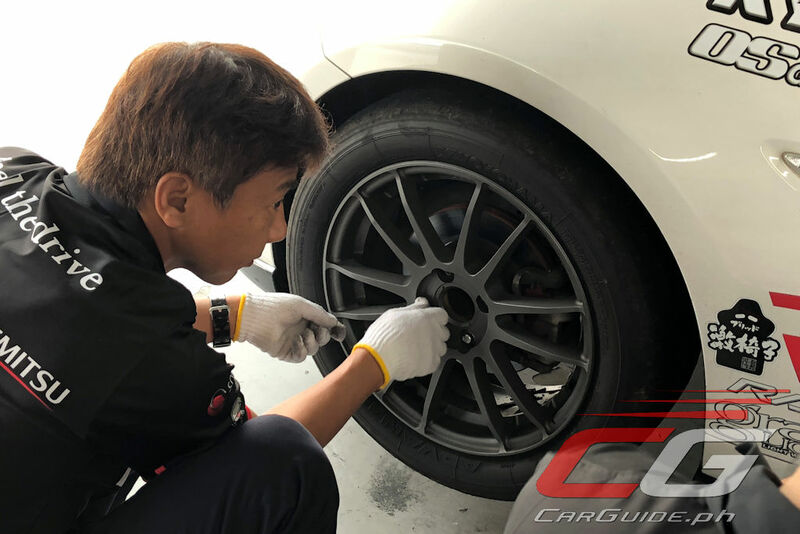 He surmised that every driver had to stick to a target time of 2 minutes 20 seconds per lap while making sure that the fuel consumption goes no lower than 6.5 km/L. 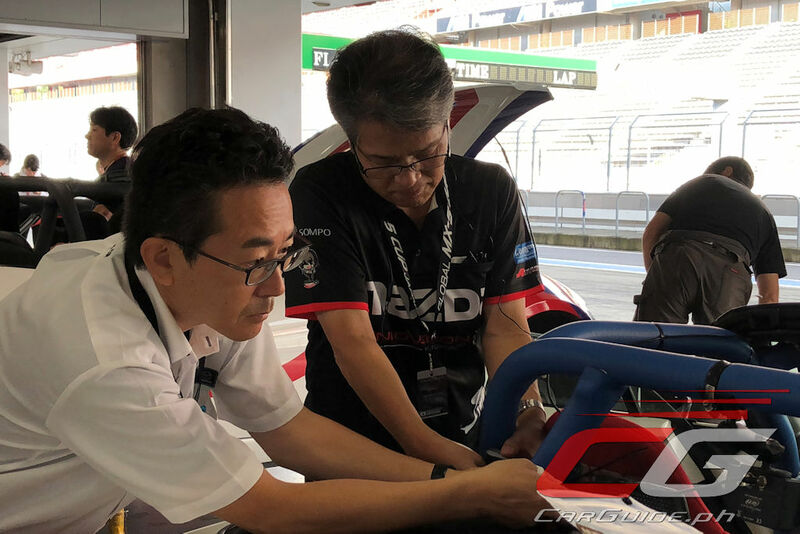 With just three laps of practice for each driver, Almeda had to use his racing experience in order to just get acquainted with the tricky Fuji International Speedway. 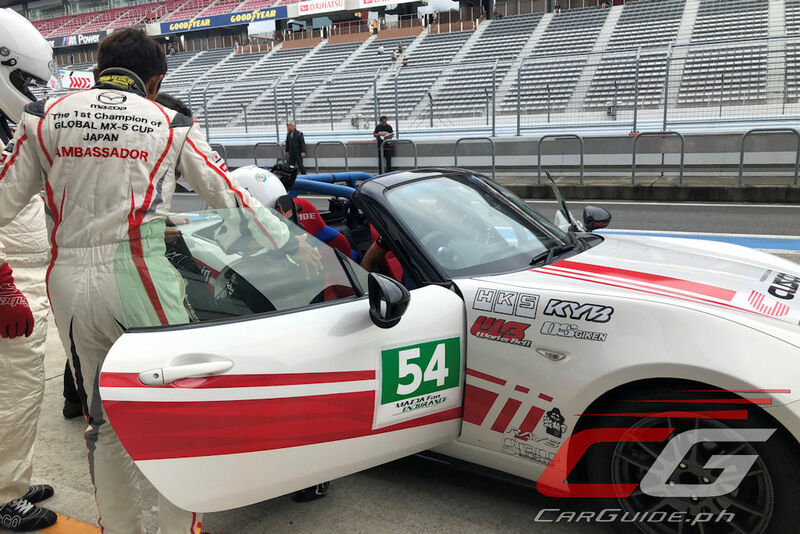 Yamano managed to qualify the team in pole position thanks to a blistering lap time while Teeraniti was chosen to start the endurance stint for the team. Team ASIA Roadster lost a couple of places at the start, his clean stint served as a solid foundation which everyone built atop of. 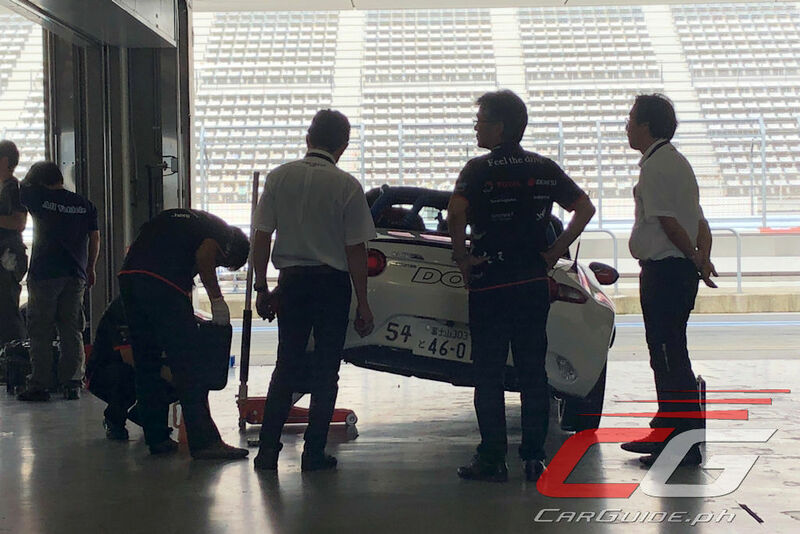 Almeda was next and while he lost a considerable amount of time during the driver change, he managed to gain a couple of places. 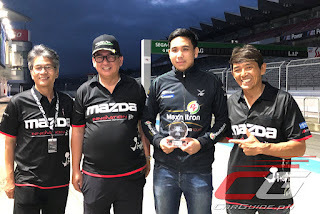 During his 50-minute stint, he managed to overtake 4 other cars in a series of corners and even set the team’s fastest lap at 2 minutes 13.703 seconds around the 4.563-kilometer circuit. 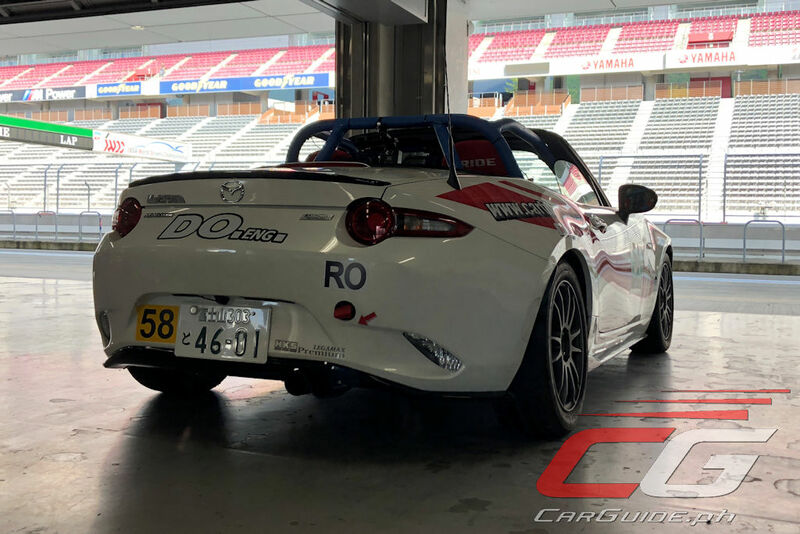 The last part of the race was finished by Yamano who hammered in consistent lap times and was almost assured of an overall win if not for a Safety Car period two laps before the finish. 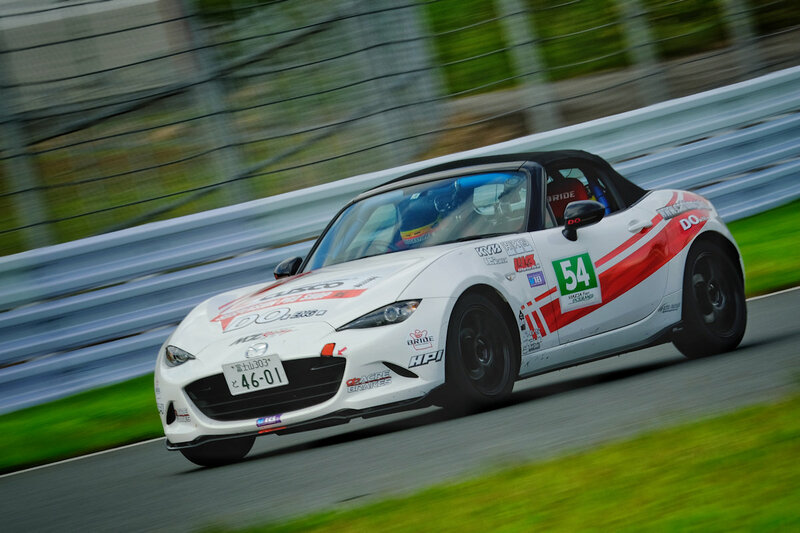 The perfectly executed strategy meant the team only had less than 1 liter of fuel left by the end of the race. 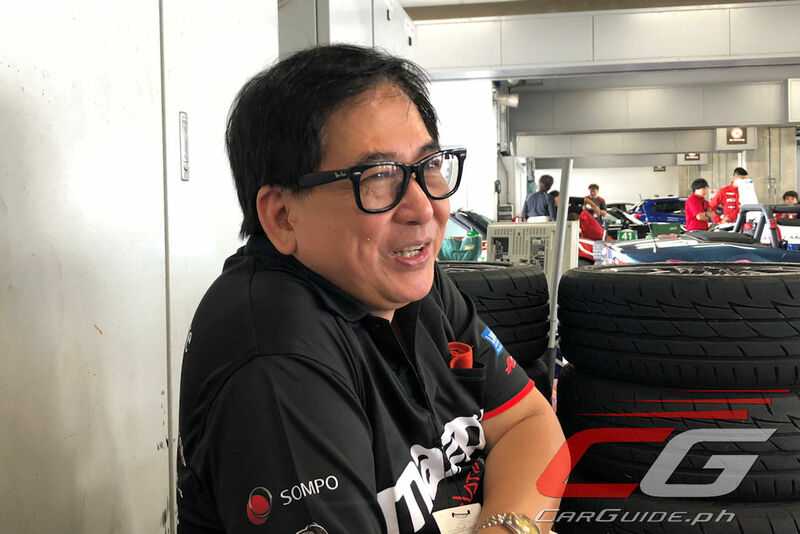 Almeda, one of the founders of the Philippine-based Miata Cup was visibility ecstatic at this once in a lifetime chance to race at the Fuji International Speedway. 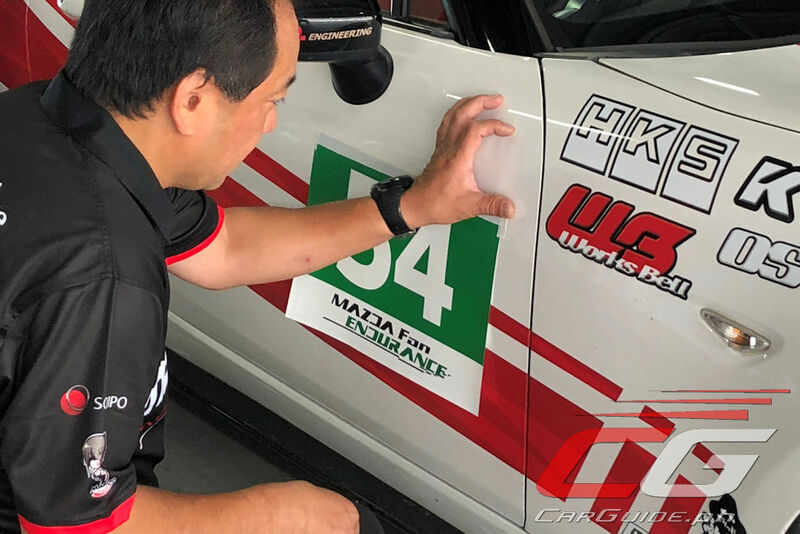 His participation and strong finish at the race validates the racing talent that the Philippines has. 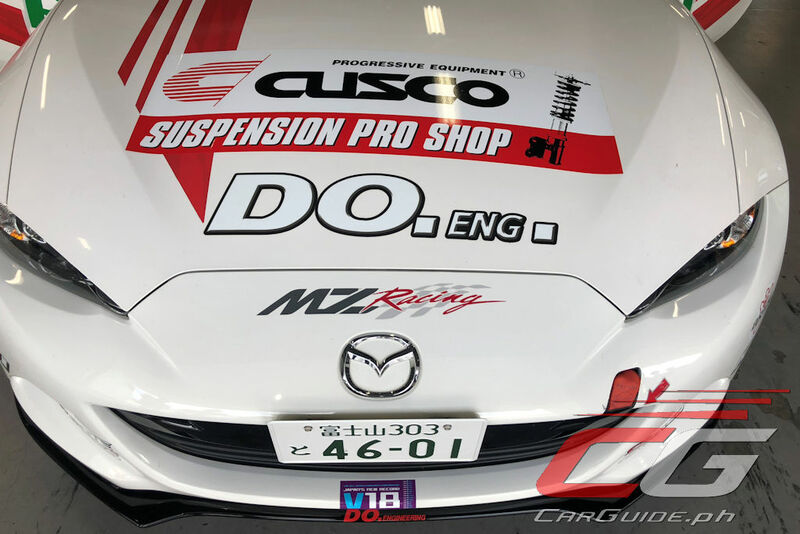 This sentiment is shared by Yamamoto who would want more drivers from outside Japan to race at the Mazda Fan Endurance Race. Top Photo by Mikko David.